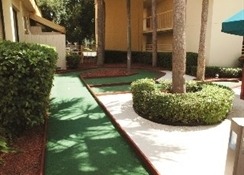 This wonderful establishment is located within walking distance of all of International Drive's attractions. 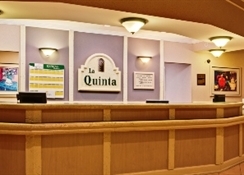 This excellent, friendly hotel offers a total of 200 rooms spread over 4 floors. 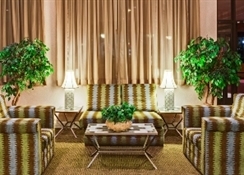 Facilities within the air-conditioned hotel include a foyer with a 24-hour reception desk, a games room and car parking for those who choose to drive here. 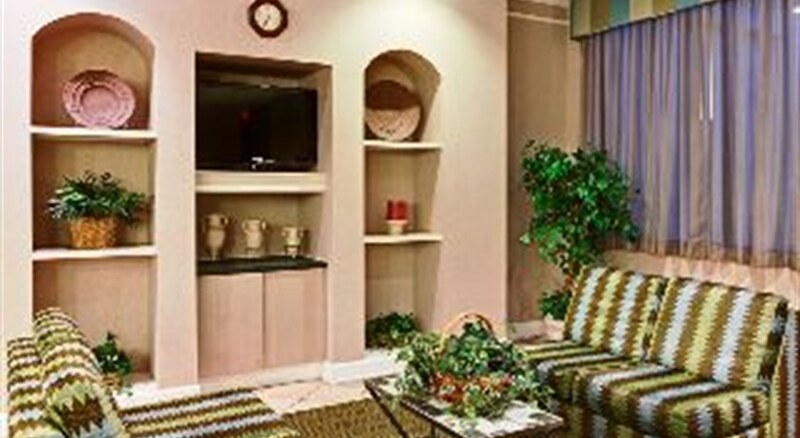 All of the nicely furnished rooms feature a bathroom with a hairdryer, satellite/ cable TV, and other modern amenities that ensures comfort for its guests. 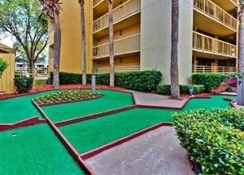 There is an outdoor complex which houses a heated pool, a children's paddling area, a Jacuzzi and a golfing green. 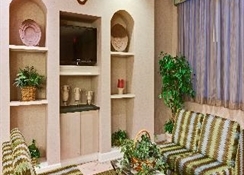 A complimentary continental breakfast is on offer to guests each morning. There's an outdoor pool with a nearby tiki bar, as well as free continental breakfast, complimentary parking and on-site putting greens. 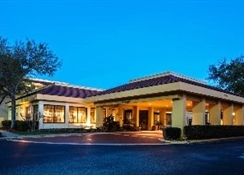 A 15-minute drive from Walt Disney World® Resort, this casual lodging is also a 12.9-mile drive from Orlando International Airport.